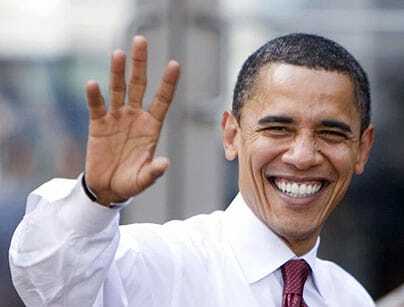 Telegraph: Senator Barack Obama, the presumptive Democratic nominee, is to fly to Britain next month as part of an ambitious foreign trip that will also take him to war zones in Iraq and Afghanistan as well as to France and Germany. Only skeleton details of Mr Obama’s trip have been agreed but an announcement of an outline programme is expected over the weekend. “You will be hearing something very soon,” a senior Obama aide told The Telegraph. During Mr Obama’s visit to Britain, likely to take place around the middle of July, he will call on Gordon Brown and, if time permits, David Cameron, the Conservative leader. A fundraising event to attract campaign donations from wealthy Americans is also understood to be under consideration. A recent Telegraph poll showed that Mr Obama is overwhelmingly preferred to Mr McCain in Britain and Europe. Three times as many Britons said they would vote for him as those who indicated they would back Mr McCain, if able to cast a vote in the US election. But Democratic strategists are concerned that scenes of “Obamamania” in Europe could damage the candidate back home. In 2004, John Kerry, the Democratic nominee, was mocked for “looking French” while in 2000, George W Bush turned his relative lack of foreign travel into a political asset. Mr Obama, 46, has not been to Iraq since 2004, a fact that his opponent John McCain, 71, the presumptive Republican nominee and a regular visitor to Baghdad, points out frequently. His extensive foreign trip – unusual at the height of a presidential campaign – is designed to burnish his comparatively thin foreign policy credentials. The Illinois senator met Mr Brown for the first time in April at the British Embassy, when the Prime Minister also received calls from Mr McCain and Hillary Clinton, who was them still battling for the Democratic nomination. Mr Obama has visited Downing Street once briefly during a congressional trip. On a previous trip to Britain in 1996, he was a guest at the wedding of his half-sister Auma, who has since moved back to Kenya, in Bracknell and went his brother-in-law’s stag night in Wokingham. President Nicolas Sarkozy has already invited Mr Obama to visit the Elysee Palace and Downing Street aides are understood to be pushing for him to stop in London before Paris as a signal that he considers Britain to be America’s pre-eminent ally.